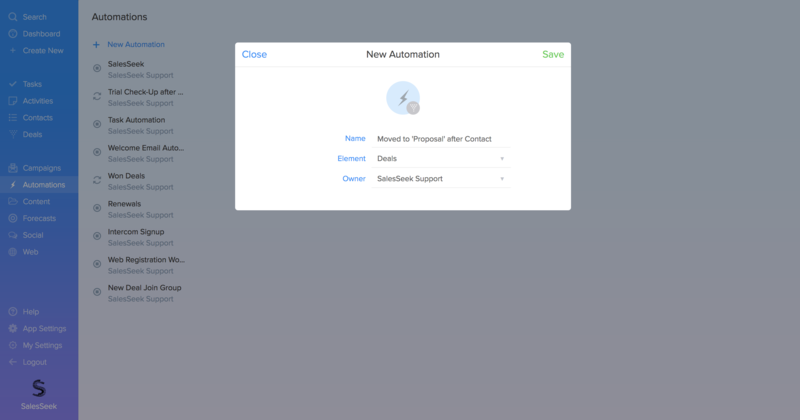 Why Automate the Movement of Deals based on Contact? Such an automation will be useful for informing the entire front-end team that a deal has been acted upon. If a potential customer has been contacted but hasn't progressed down stages of the funnel, the deal may be in risk of losing momentum. This is especially true in situations where different individuals are responsible for keeping a deal progressing down specific phases of the funnel. To avoid a customer's journey stagnating, follow the simple steps below to automate the process of deal contact triggering phase movement. In the example used within the article we want a deal to move from the Qualified to Proposal phase of our funnel. The forms of communication we want to trigger the move are either email or phone. The Element should be 'Deal' - you can learn more about Elements in our 'Automations 2.0 Fundamentals' article - and status should automatically be set to 'Off'. Create the first stage of the new Automation. The first stage should relate to the Event which triggers the automation. In this example it would be a deal moving to the Qualified phase of the funnel. 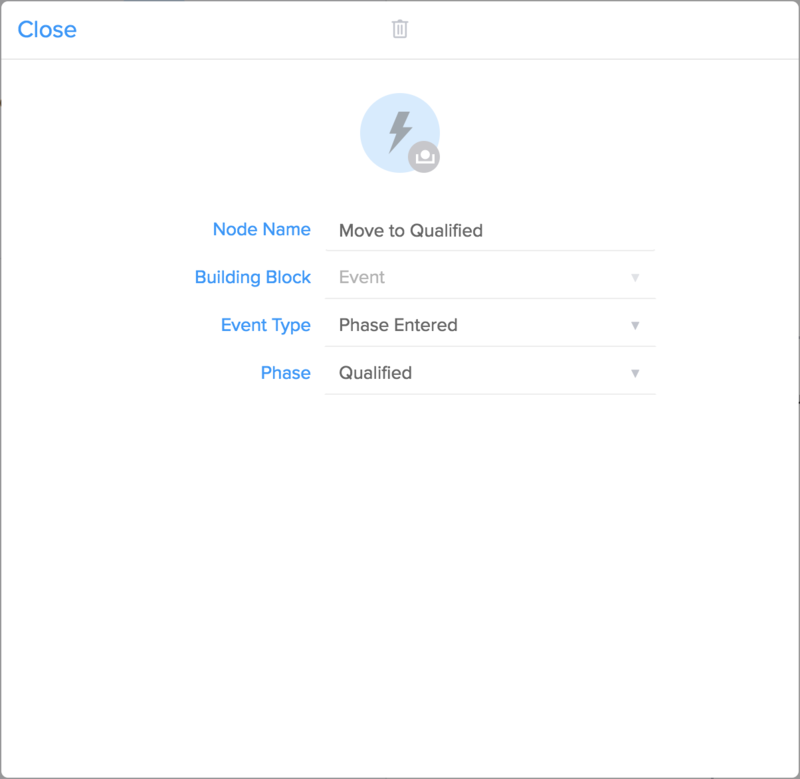 Press the plus sign under Start to add this first Node > The Building Block will be 'Event' > 'Phase Entered' should be selected as Event Type > The Phase selected should be 'Qualified'. 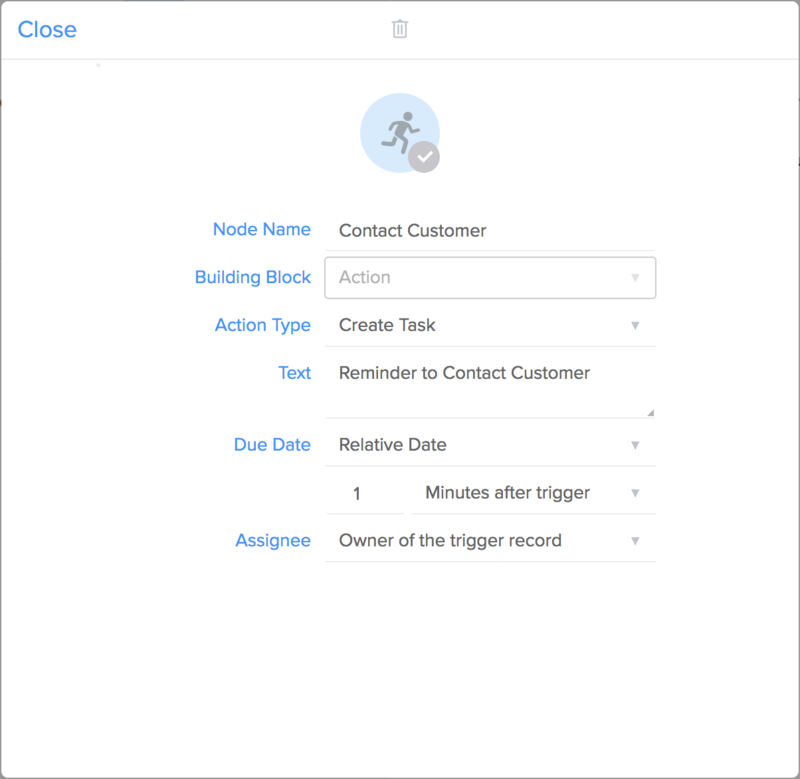 You will likely next want to add a delay within the Automation, to allow time for your sales team to contact the lead. Within this example a delay of 3 days will be provided. This delay is created though adding a Wait Building Block. You will be able to choose to wait for a relative amount of time or until a specific date in the Wait Until drop down menu. 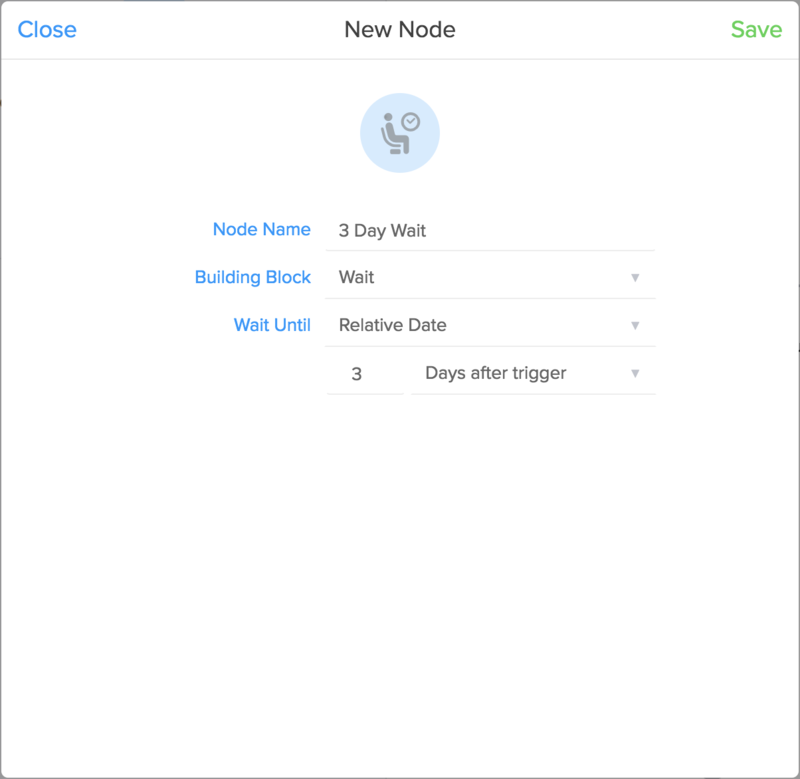 The next node should indicate whether communication has occurred between your team and the customer already. For this, a Branch Building Block will be employed. Learn more about Brand Building Blocks in the our 'Automations 2.0 Fundamentals' article. 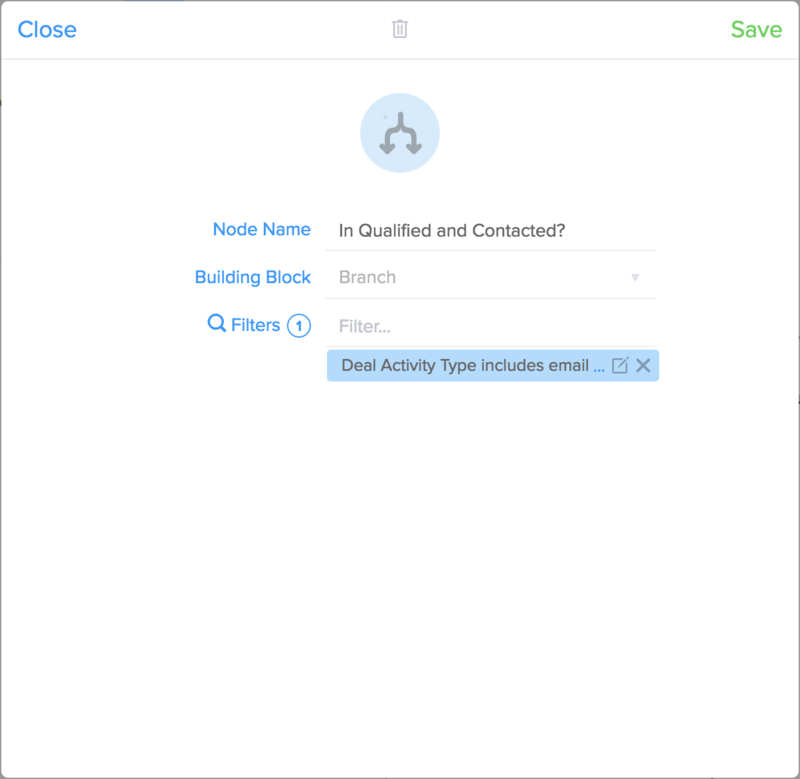 In this example, the Filters are used to specify that the Activity Log for the deal does include past email or phone communication. 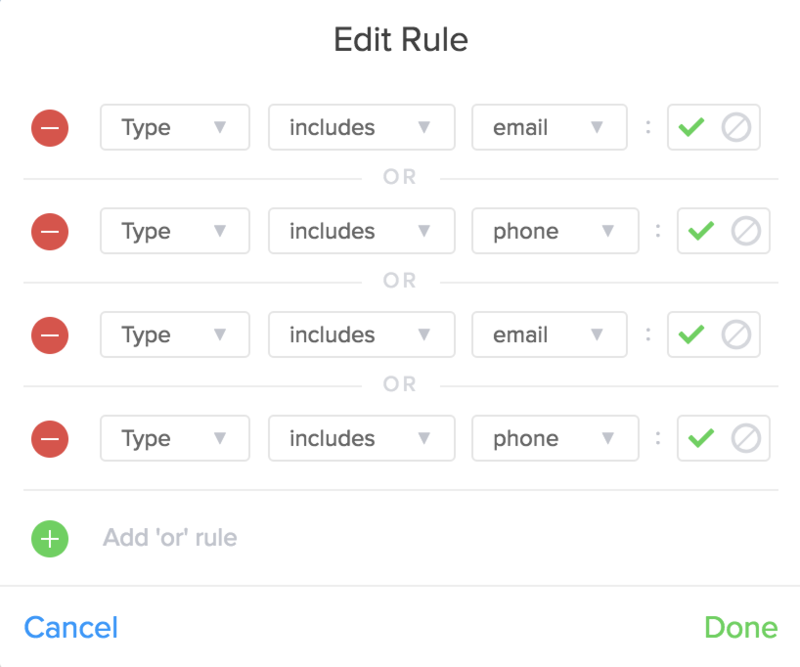 To do this select 'Type' under within the drop down menu > Include an 'or' rule so both phone and email is included (bare in mind four filters will be applied as you want to include email and phone communication for both individual activity and deal activity) > For the first two filters select the 'Type' that appears under Deal Activity and for the last two select the 'Type' that's under Individual Activity. Next you would need to create a new Node under the Yes branch. 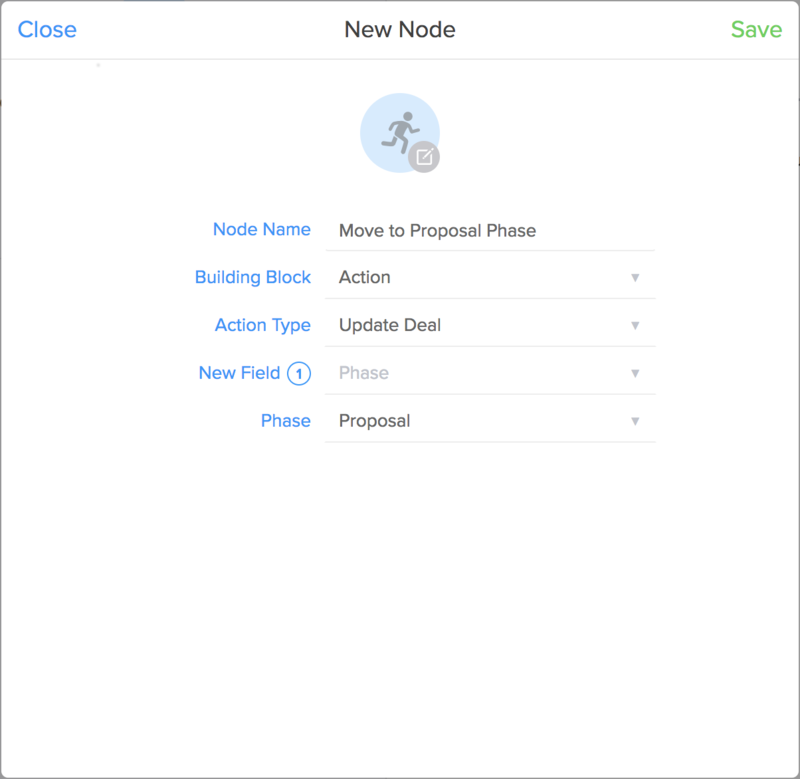 This Node will inform the Automation to transfer deals that comply with the filters from the Quantified phase to Proposal phase. To do this, create an Action Building Block > For Action Type select 'Update Deal' > For New Field select 'Phase' > Then specify what Phase you want the deal to move into in the bottom drop down menu. 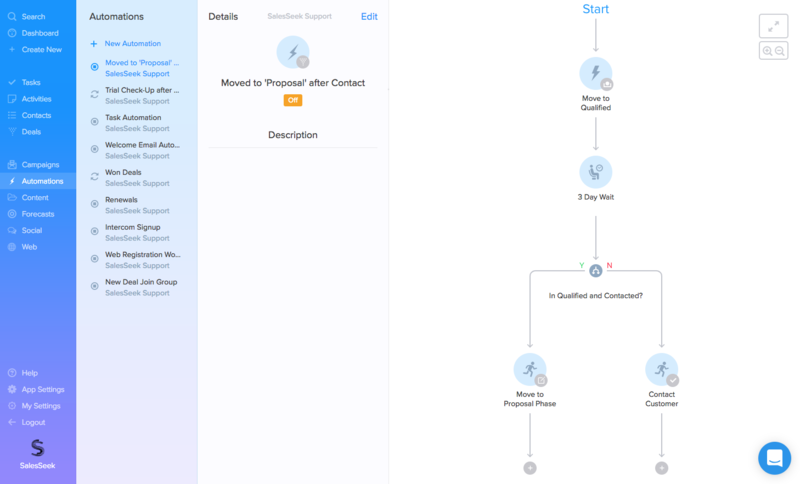 An additional step could be to create an automated task under the 'No' branch to remind the deal's owner to contact the lead. This would be done through adding an Action Node with 'Create Task' as the Action Type. Additionally, you will need to include either a Relative or Specific Due Date and an Assignee for the task. Once you've checked over the Automation and made sure you're happy with everything, you can activate the sequence by changing the status of the Automation from 'Off' to 'On'. From this point on, any deals that enter the Qualified phase that have been contacted within 3 days, will in turn be moved onto the Proposal phase automatically. Any Qualified deals that haven't been contacted will be attached with a reminder for the deal owner to contact them. If you have any questions about Automations, please feel free to get in touch with the team.